Cleanliness, room spacious and well laid out met all our needs. 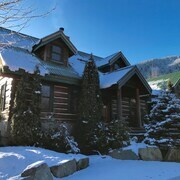 Close to gondola and ski runs. Quite area away from noisy bars. General public seating area chairs dated and worn. Parking too expensive $36 about 25% the cost of the room. 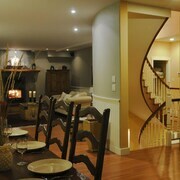 Planning to spend several nights in Whistler Ski Area and want to stay close to central Pemberton? Within easy driving distance of the city center, you'll find 3 Expedia-listed accommodation options. 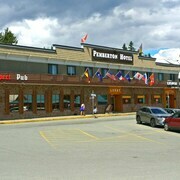 The Pemberton Gateway Village Suites Hotel is a sought-after hotel choice as it's so handy to Pemberton's town center. 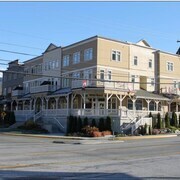 The Whistler Luxury Condos is situated 25 kilometres (16 miles) away from downtown Pemberton. Another hotel is the Powder's Edge by Whiski Jack, which can be found 25 kilometres (16 miles) away. 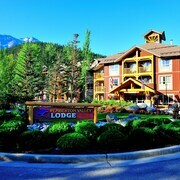 If you'd prefer, you could book a room at the Embarc Whistler or the Tyndall Stone Lodge by Whiski Jack. Whistler is 25 kilometres (16 miles) to the southwest of Pemberton and is home to the Whistler Blackcomb Ski Resort and Whistler Mountain. 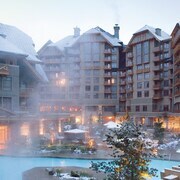 The Four Seasons Resort Whistler and Woodrun by Whiski Jack are some of the great hotel and apartment options in Whistler. 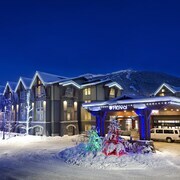 Or stay in Village North, 25 kilometres (15 miles) to the southwest of Pemberton, where you can pick from the The Aspens by Whiski Jack and The Fairmont Chateau Whistler. The PEAK 2 PEAK Gondola and Black Tusk Gallery are just a couple of the more popular places to explore should you visit Village North. Consider spending an afternoon rubbing shoulders and cheering along with Whistler Ski Area sports obsessives at a local match. You'll find Whistler Sliding Centre 25 kilometres (16 miles) to the south of Pemberton. 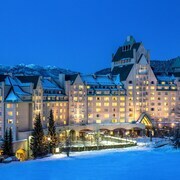 For visitors who are interested in sleeping close by, make a reservation in the The Westin Resort & Spa, Whistler or Town Plaza Suites by Whistler Premier. For those travelers arriving or departing through Pender Harbour Waterdrome Airport, you may like to stay at Painted Boat Resort, or Enchanter Oceanview Suites, which are both close by.